Pretty Horses is made in a fresher, juicier style than our Shake Ridge single vineyard Tempranillo and is meant for younger drinking. It combines lightness of being, luxurious tannins and its own distinctive sweet spice. It is an extremely versatile food wine, anything with a little salt makes it pop and is seemingly impervious to oxygen. It lasts open for days, a gradual journey from fruit to earth and rock. Winemaking: Both lots were co-fermented with 5% Graciano for brightness and acidity. The bunches were partially de-stemmed into an open top fermenter where the grapes were gently foot tread and punched down 1-2 times a day during a native yeast fermentation. The wine was aged for 14 months in neutral oak barrels including approximately 20% American Oak. 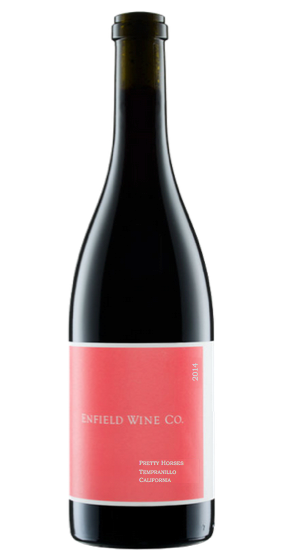 Vineyards: The 2014 Pretty Horses is a blend of two vineyards, both in the wild west of the Sierra Foothills. The base of the blend is a super steep block of vines at Rorick Heritage Vineyard, with a couple barrels of Shake Ridge mixed in for texture and gravitas. Soft cherry, black walnut, sassafras, marshmallow and a long finish that is way above its pay grade.